This module allows for an unlimited number of currencies to be tracked in Bassets. Each asset is assigned a functional currency. Reports can then be generated in either reporting or functional currency. 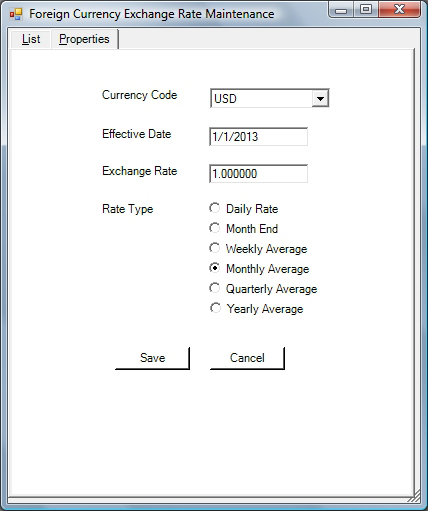 The system allows for monthly exchange rates for each currency. The exchange rate used in calculations is determined by the month of acquisition. Additional functionality is provided to handle Hyper-inflationary countries. Non Hyper-inflationary countries can utilize a year-end or weighted average rate.